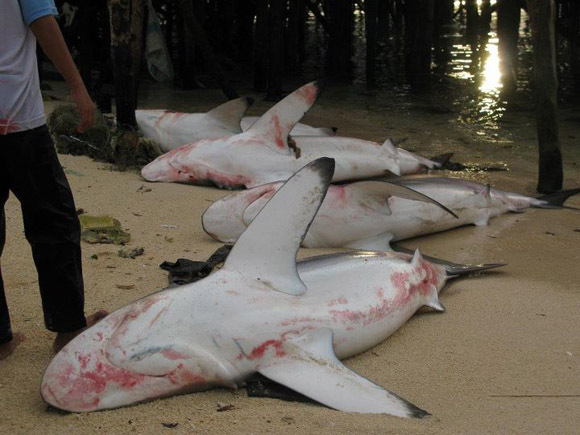 These are pictures shared by Semporna Shark Sanctuary a non-governmental organisation (NGO), on the rampant killing of sharks in Mabul island near Semporna (in the island of Borneo), for their fins. 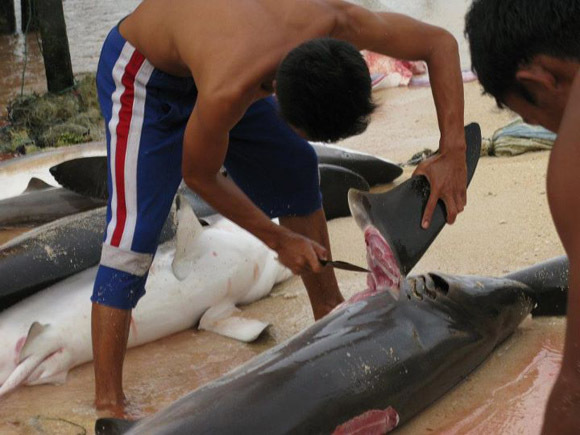 Shark fins are quite popular in the local restaurant menu and it also made its way into upscale eating destinations not too long ago. 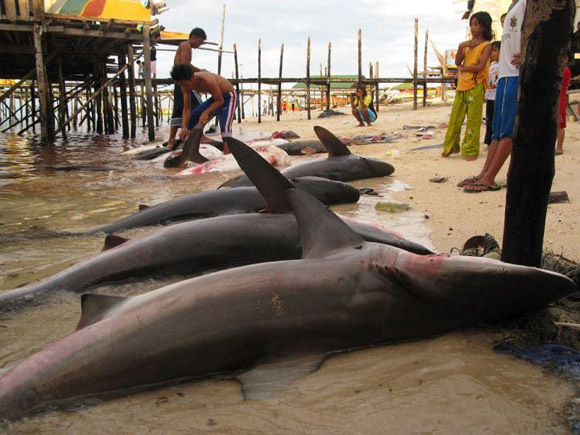 According to the NGO ,the sharks are finned and their bodies are then thrown back into water and it happened right in front of Mabul resort. Click the link given above to learn more about this and give your support. There is an online petition to this cause in their web site. The mission of the Semporna Shark Sanctuary is to protect one of the most diverse marine eco systems on the planet and protect the over exploitation of sharks, mantas, eagle rays, devil rays, marlin, sail fish and sea turtles. In doing this its objective is not only to protect and preserve these animals and the diversity of the coral reef systems in Semporna, but in doing so, protect and compensate fishing communities, secure the jobs that are currently held by many Sabahans in eco tourism which would be lost with the decline of these species and create many more in the maintenance, up keep and protection of South East Asias first Shark Sanctuary. - excerpt from the NGO's website. oh my goodness! I am shocked! if I didn't see these pictures I don't know if I would have believed this! The greatest human suffering is the greed for money. No respect for life. 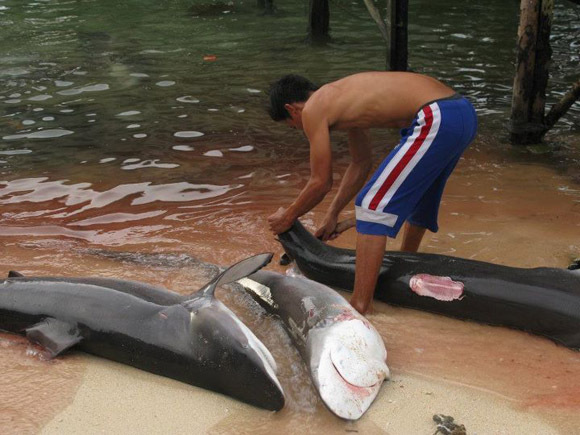 What's more heart-wrenching is that in most cases, the fishes are not consumed but instead thrown back into the sea.